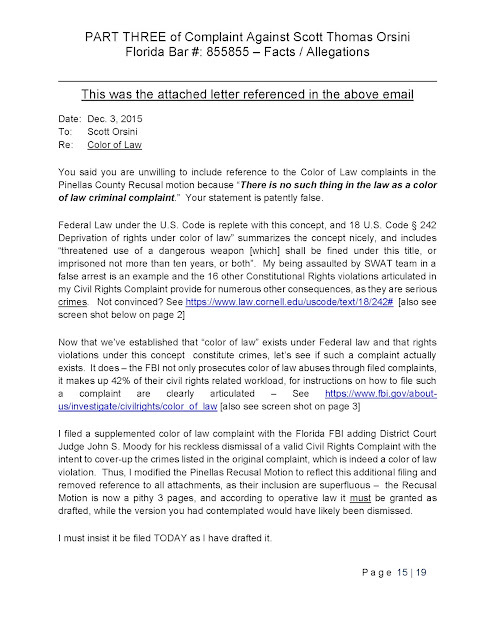 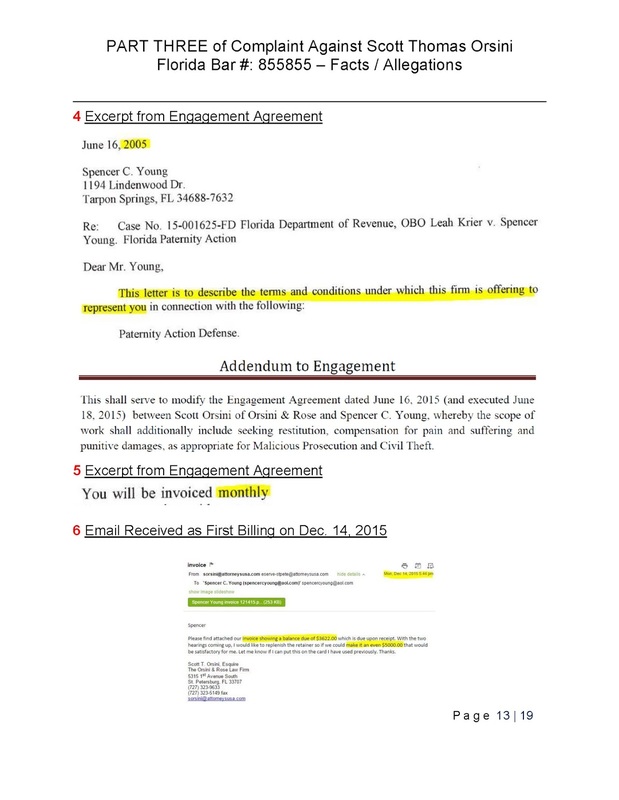 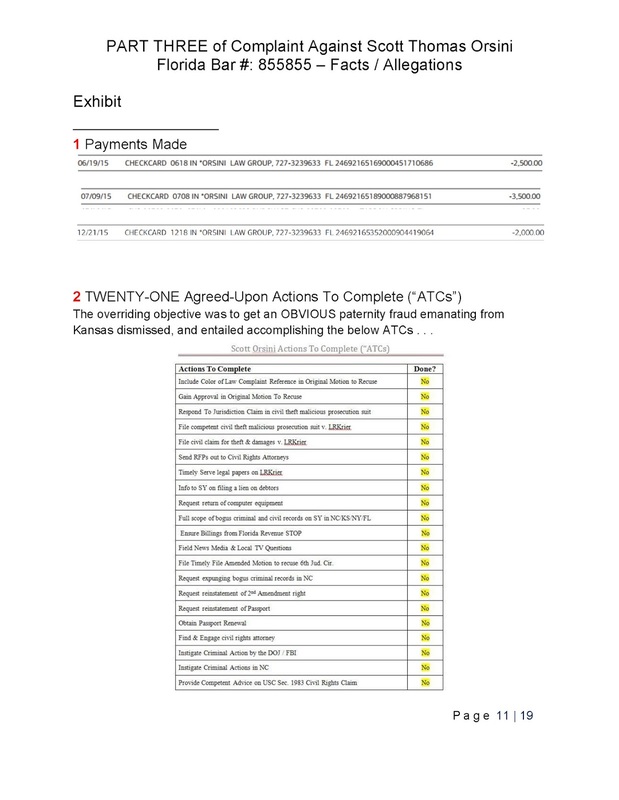 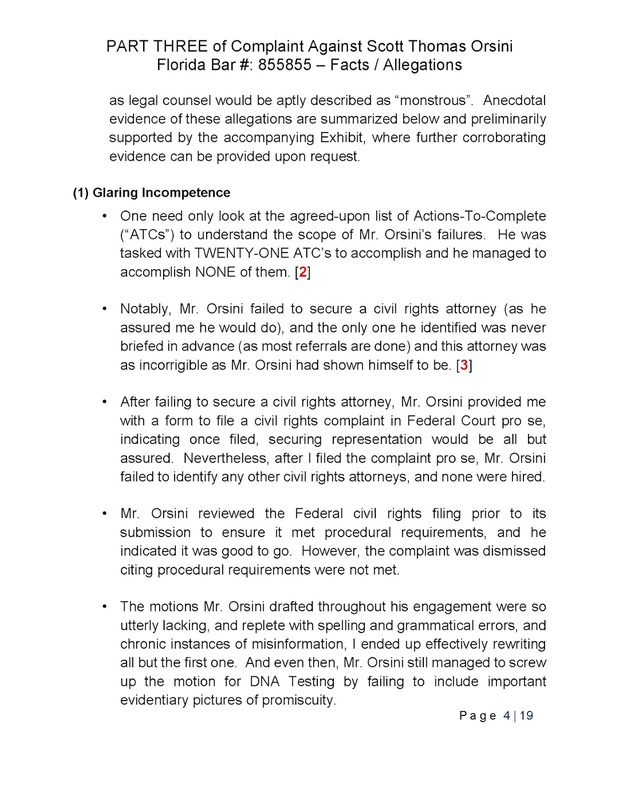 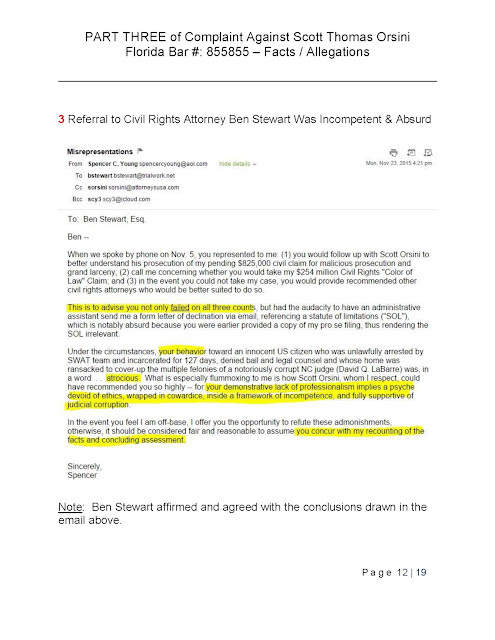 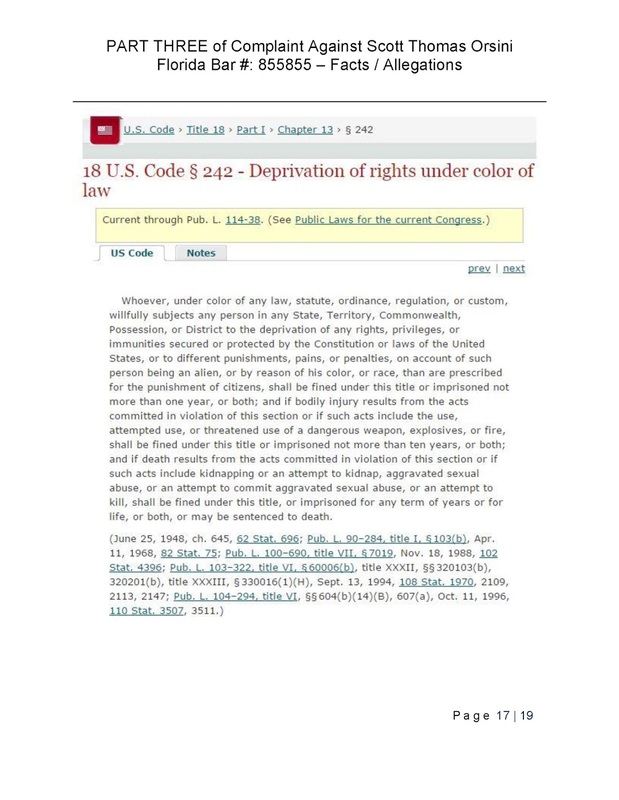 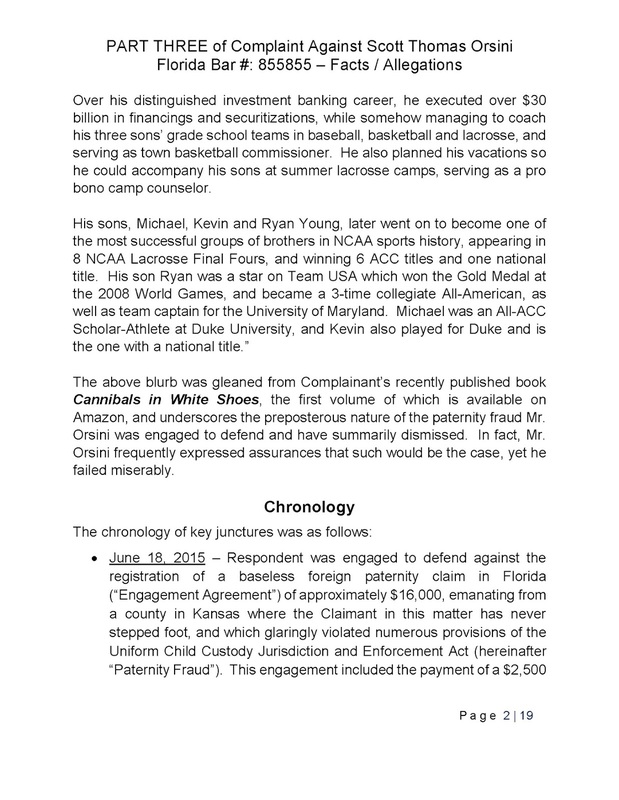 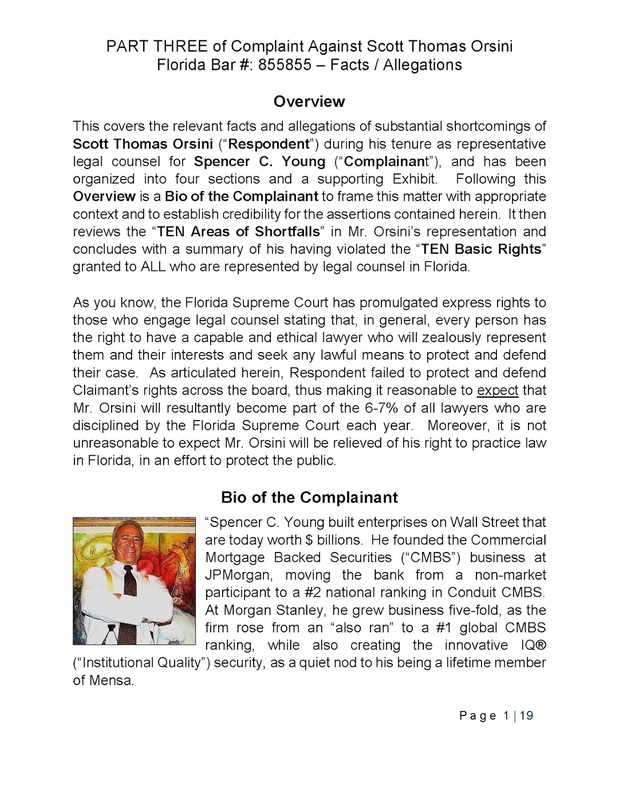 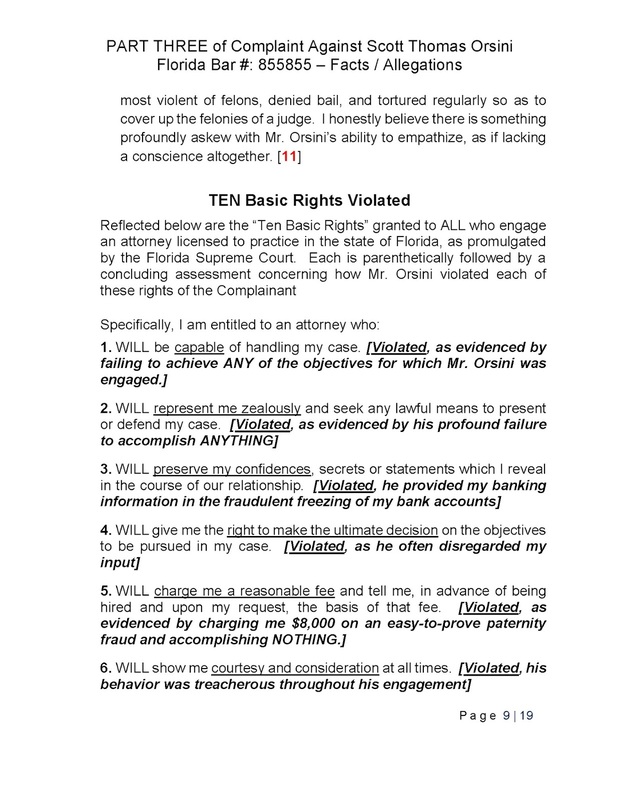 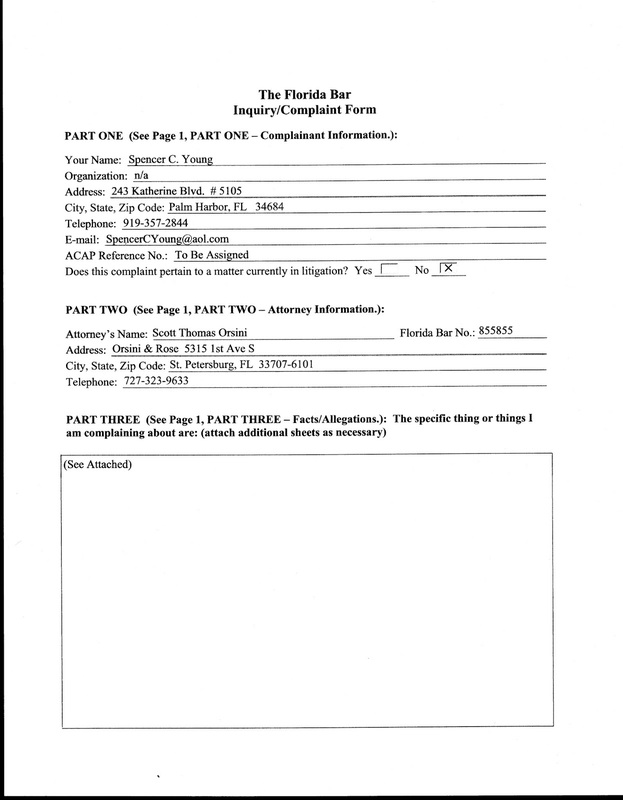 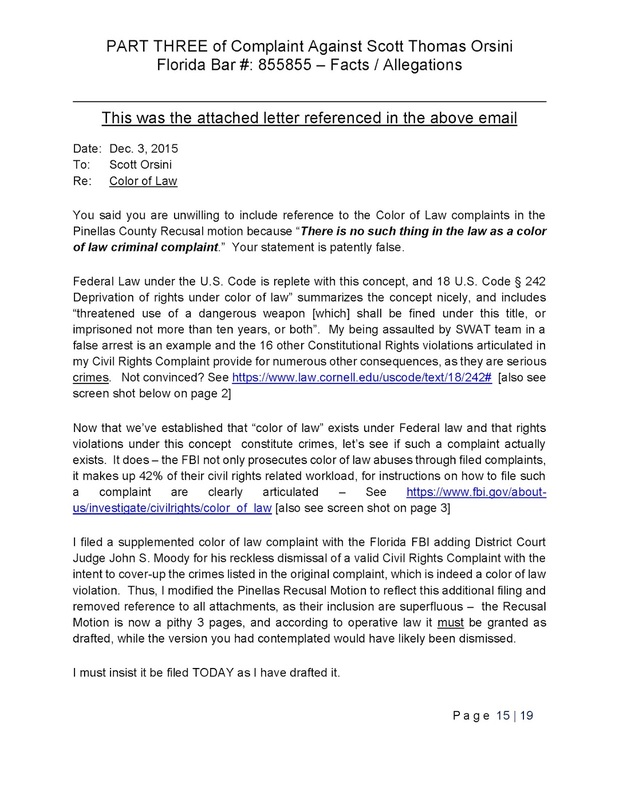 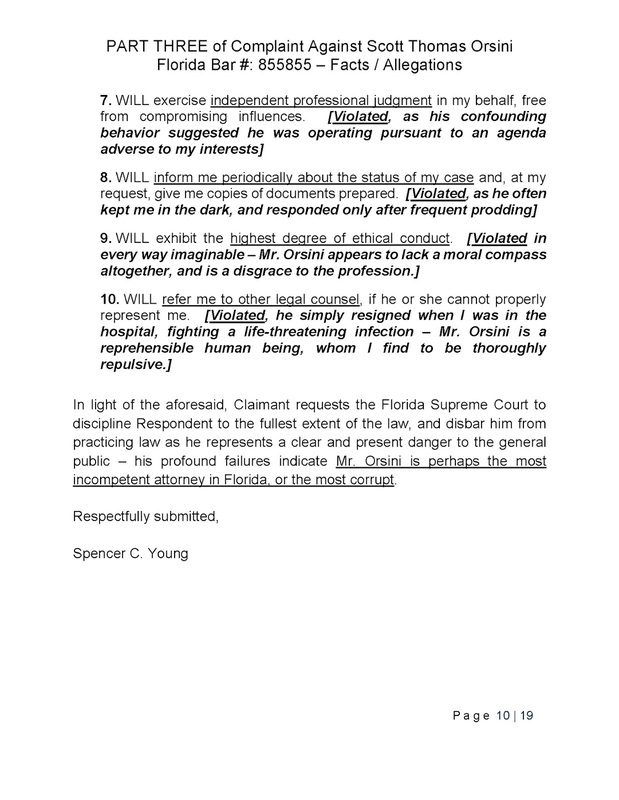 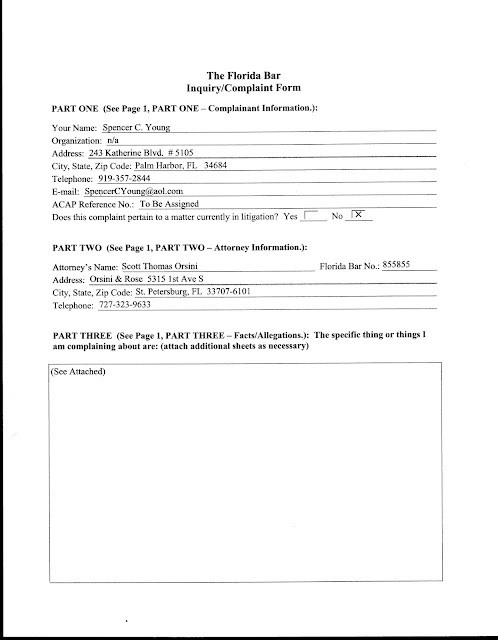 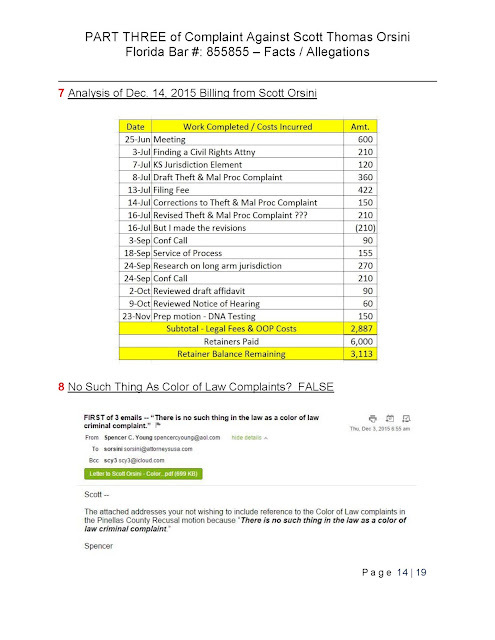 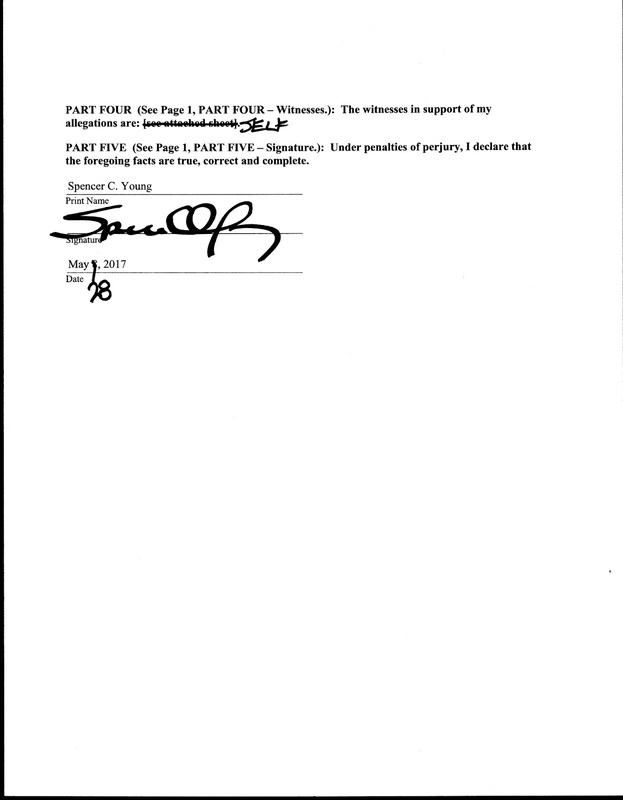 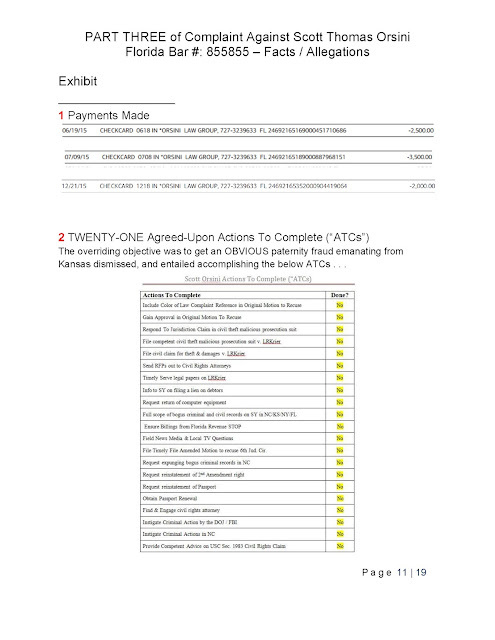 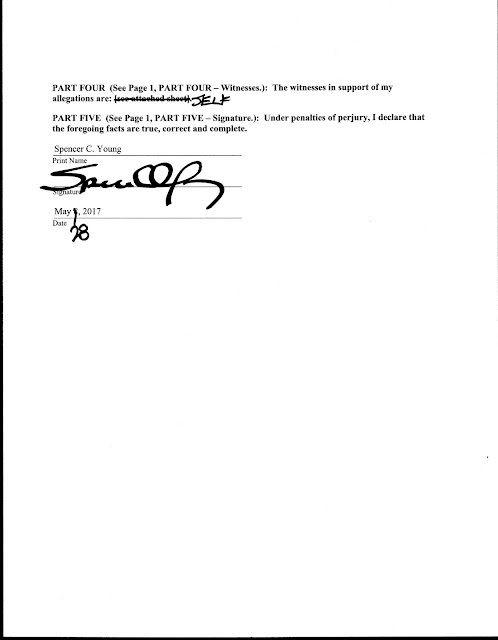 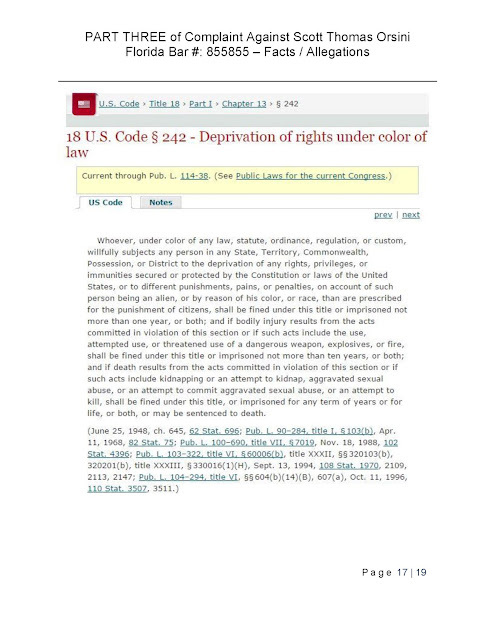 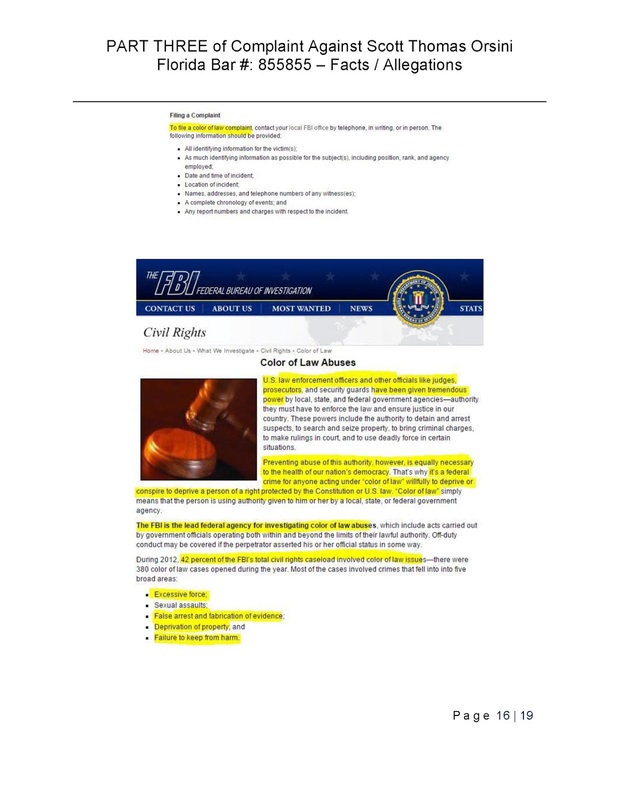 The below complaint was filed with the Florida Supreme Court against Scott Thomas Orsini, Florida Bar # 855855 for substantial shortcomings during his tenure as representative legal counsel for Spencer C. Young. 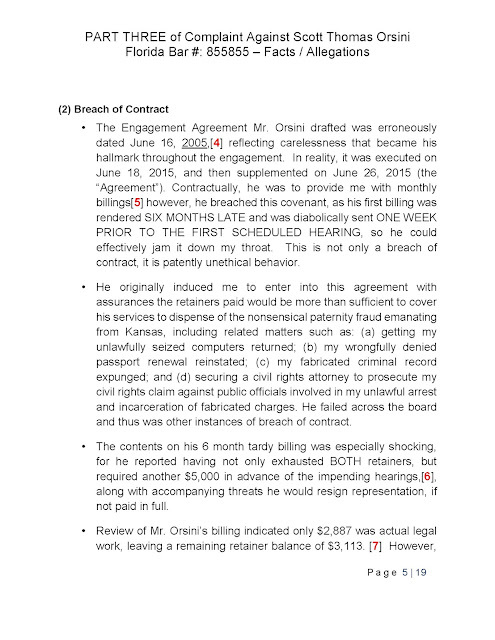 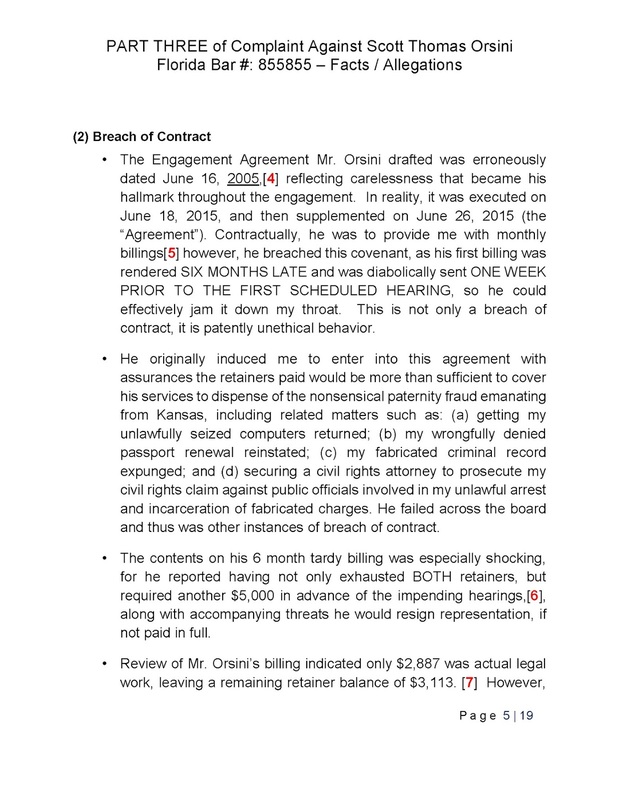 Mr. Orsini was engaged to dismiss an audacious paternity fraud emanating from rural Kansas, and pursue other related matters. 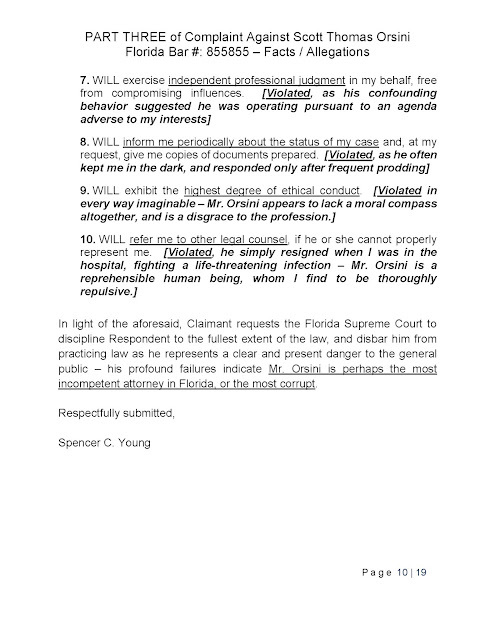 His disbarment is being sought. 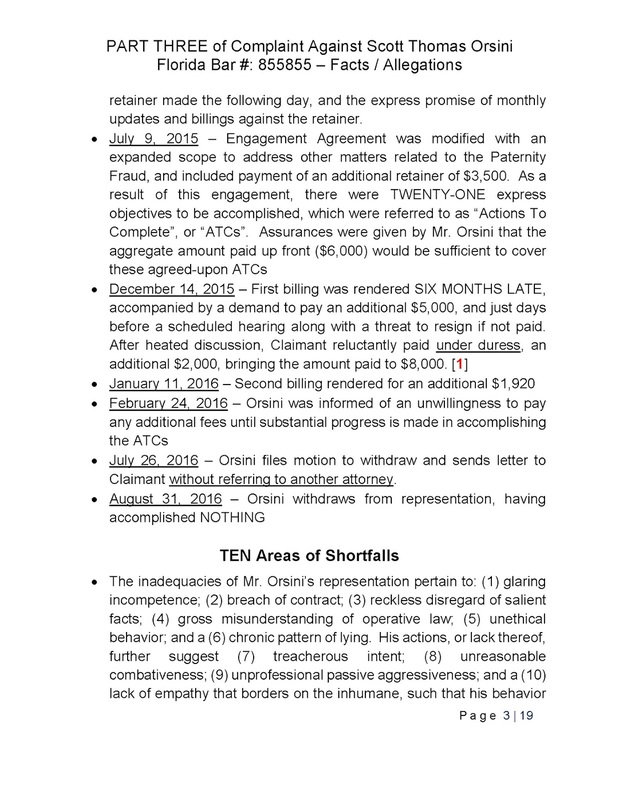 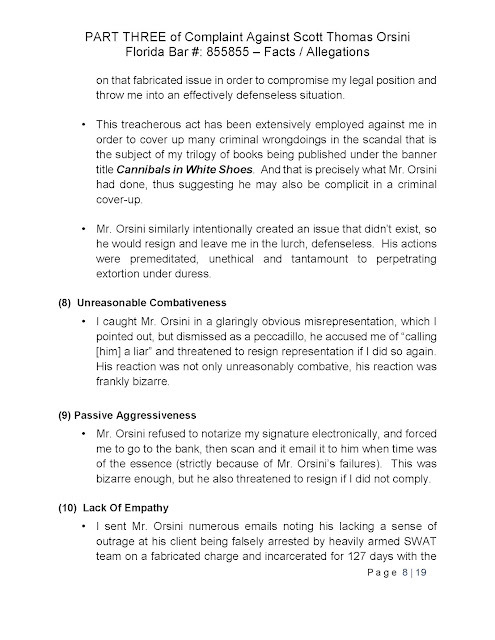 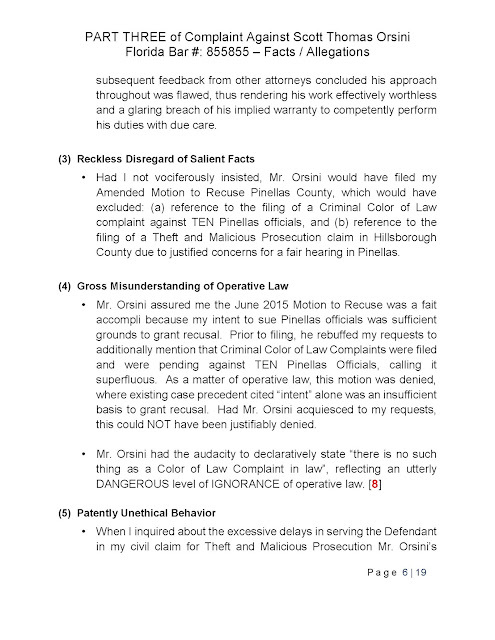 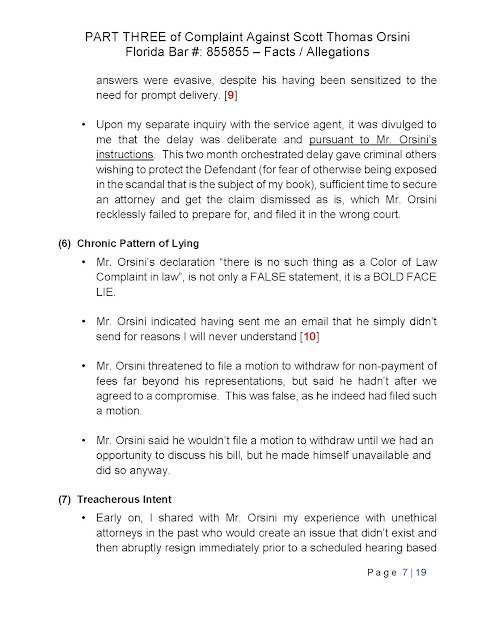 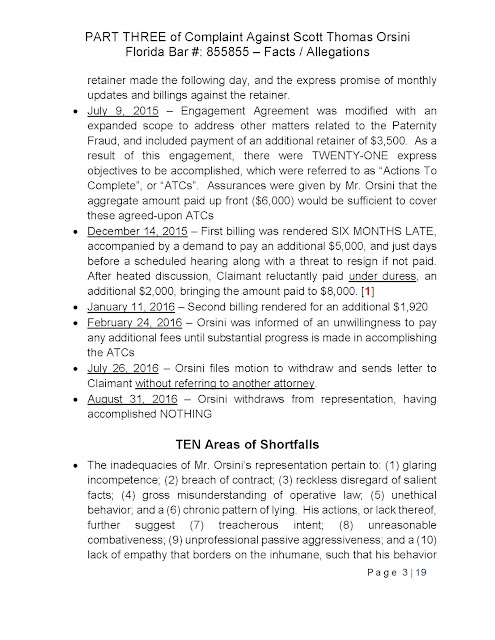 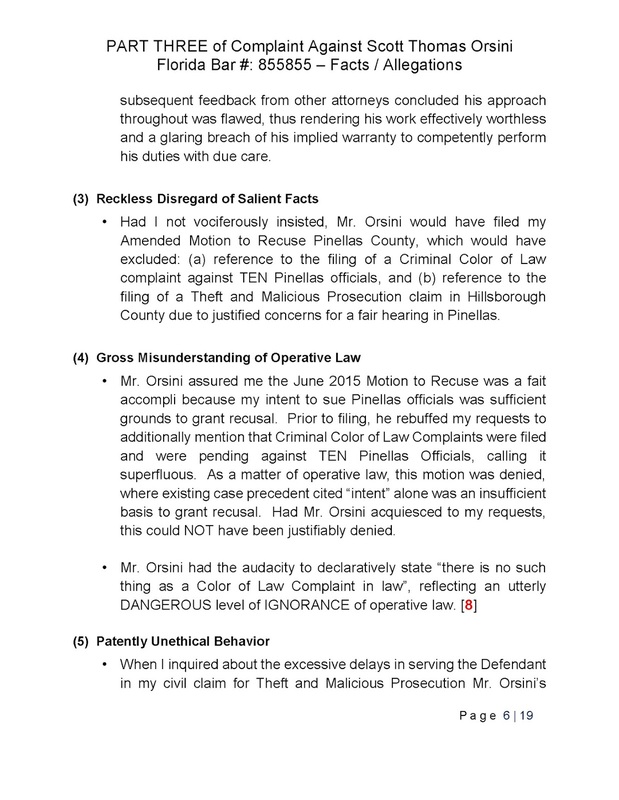 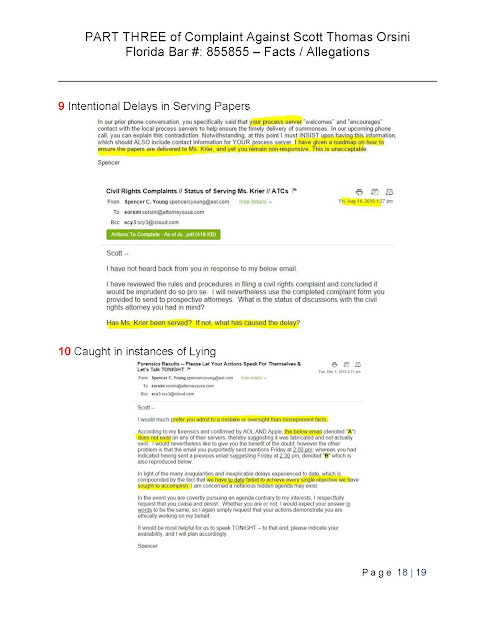 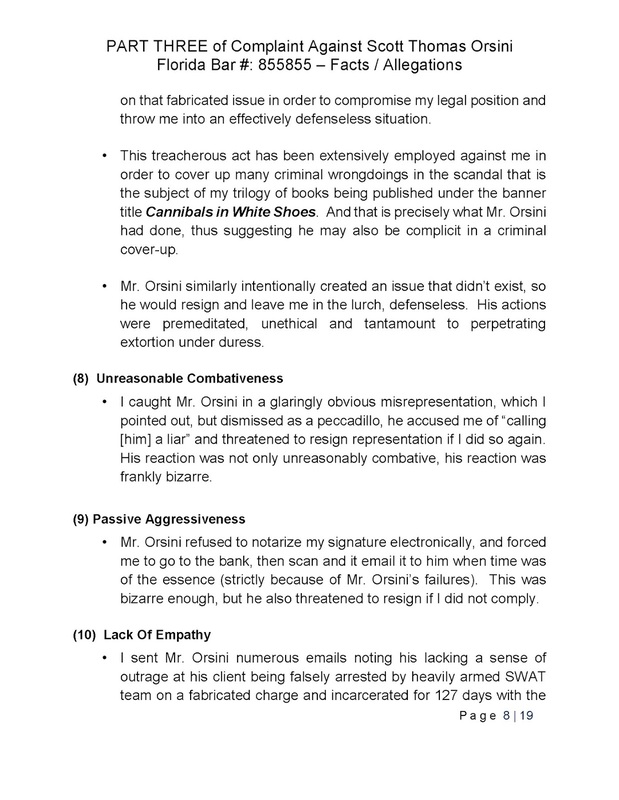 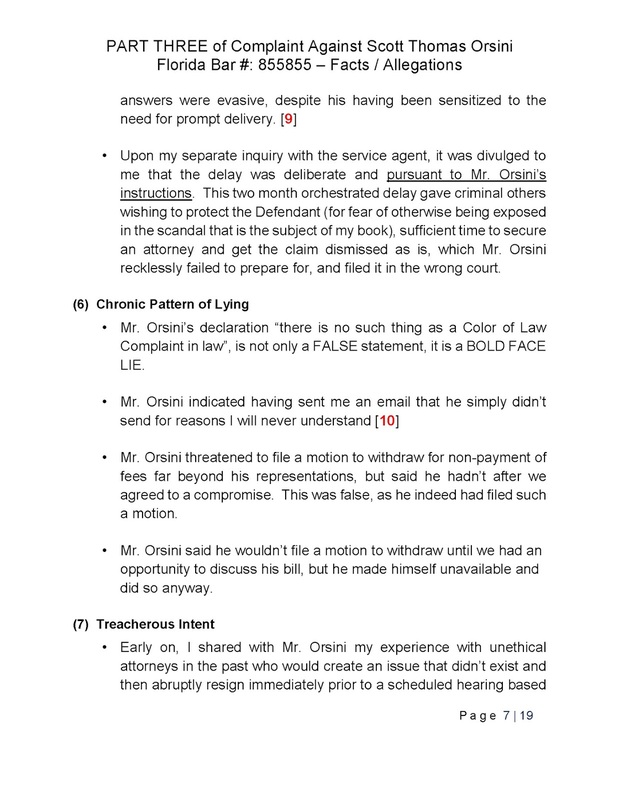 The inadequacies of Mr. Orsini’s representation pertain to: (1) glaring incompetence; (2) breach of contract; (3) reckless disregard of salient facts; (4) gross misunderstanding of operative law; (5) unethical behavior; and a (6) chronic pattern of lying. 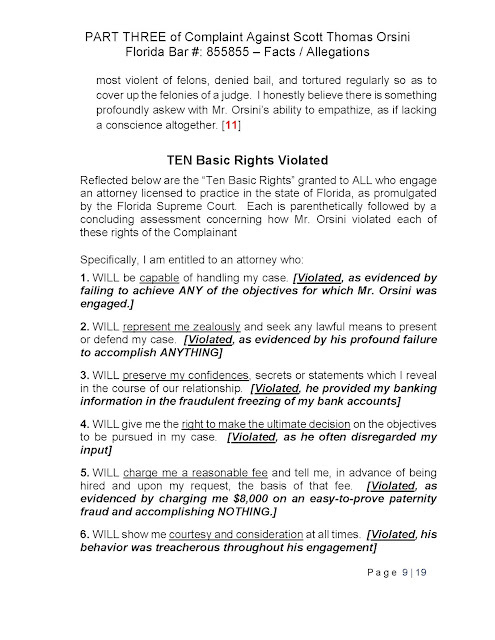 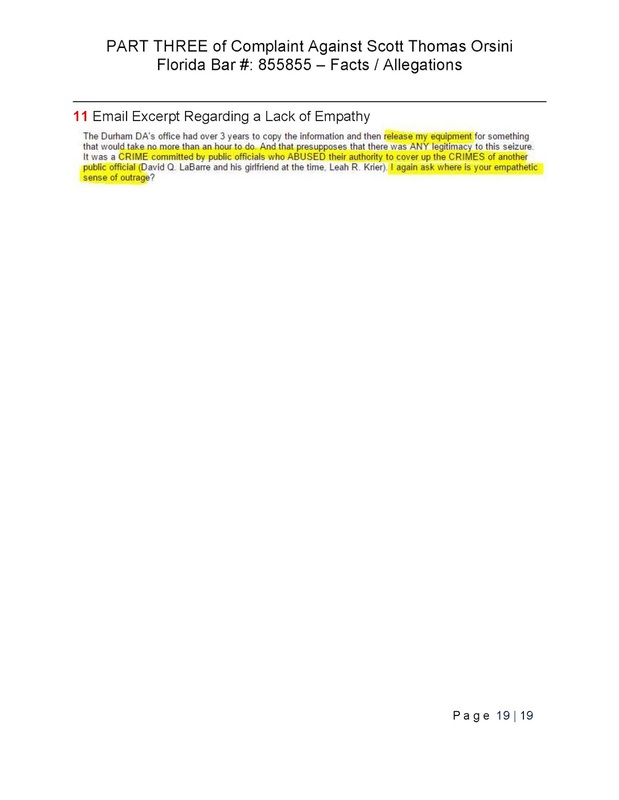 His actions, or lack thereof, further suggest (7) treacherous intent; (8) unreasonable combativeness; (9) unprofessional passive aggressiveness; and a (10) lack of empathy that borders on the inhumane, such that his behavior as legal counsel would be aptly described as “monstrous”.